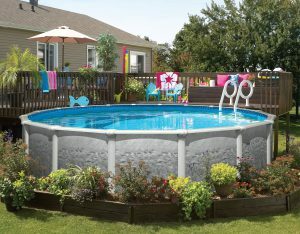 Servicing Pools, Hot tubs, Bikes and more! Professionally servicing these Northwest Indiana locations but not limited to: Portage, Hobart, Merrillville, Valparaiso, Porter, Lake Station, Westville, Michigan City, Laporte, Lowell, Dyer, Crown Point, Cedar Lake and Ogden Dunes. After a long and brutal winter, the 2017 swimming pool season is quickly approaching, and what a better way to protect your investment than having the professionals at Water Way Pool and Spa open your pool. We remove and fold your winter cover, connect and inspect your filter equipment, install basic ladders, and add start-up chemicals to your swimming pool. Additional services are available for a flat hourly rate, such as but not limited to, removing excessive leaves and vacuuming unwanted debris. Once the swimming pool season comes to a close, what a better way to protect your investment than having the professionals at Water Way Pool and Spa close your pool. 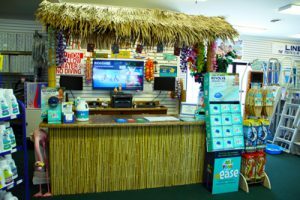 We clean all filter parts, install air pillows/water tubes, add the necessary winterizing chemicals, and install your winter cover. Additional services are available for a flat hourly rate, such as but not limited to removing excessive leaves and vacuuming unwanted dirt and debris. After having your hot tub in hibernation, what a better way to get your hot tub up and running than by calling the professionals at Water Way Pool and Spa. We use hot tub friendly chemicals to clean the shell surface, reconnect and inspect control area plumbing lines for leaks, and add start-up chemicals. Once the hot tub is filled, we will go through and make sure it is operating correctly. All you need is to sit back, relax, and wait for your backyard oasis to heat up. Additional services are available at hourly rates. 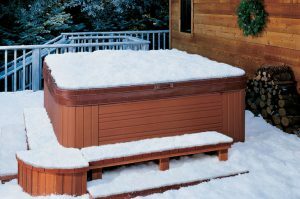 Winter is quickly approaching and you don’t plan on using your hot tub or are nervous that a brutally cold winter could freeze your hot tub. What a better way to close your hot tub down by calling the Water Way Pool and Spa service team. We drain the tub and the plumbing lines, add anti-freeze to the plumbing, disconnect control area unions, and wipe down shell surface. Additional services are available at hourly rates. 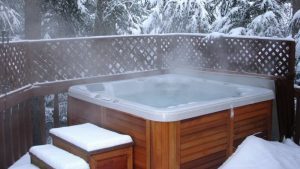 Are you experiencing issues with your hot tub that you can’t pinpoint? Call the Water Way Pool and Spa service team! 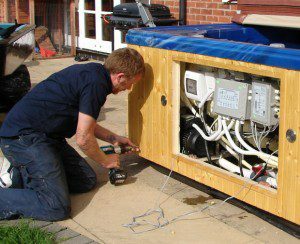 We do on-site diagnostics and repairs for most major hot tub manufacturers. Call today to schedule your service appointment! We repair most major brand pool and spa pumps, filter control valves, and automatic cleaners. Call today for details.